Renowned for his impeccable productions, REGGIO has been a seminal figure in the rise of his signature dark progressive style over the years. 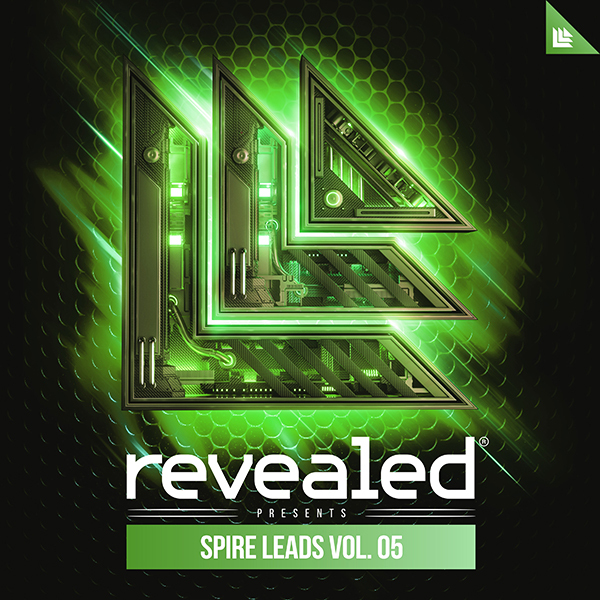 After wildly successful releases on Revealed, REGGIO brings his unique blend of sharp-toothed basslines and melodic big room to the music producer masses. Having delivered a string of hit singles in recent times from standout tracks, such as the collaboration with Sansixto on ‘Rumble’, ‘Pantheon’ with Arcando, ‘Mental’ with RIVERO, and the most recent collaboration with Syzz on ‘Joker’ – REGGIO is now providing upcoming and seasoned producers with a wealth of exclusive sounds from his past productions, as well as being jam packed with new sounds of forthcoming tracks. Inside the REGGIO Soundset Mega Pack Vol. 1 is 192 presets for Serum, Spire, and Sylenth1 – where you’ll find sounds from his latest and upcoming releases, allowing aspiring producers to recreate the REGGIO dark progressive signature sound. Among the soundsets, you’ll find a wide variety of Bass, Leads, Pads, Plucks, and FXs. Tailor-made for customization, each preset is assigned advanced modwheel assignments and, within Serum and Spire, all four macro controls are programmed within each preset, allowing you to tweak sounds in your own way. One of Revealed's most talented DJ and producer Suyano has always been renowned for his distinctive melodic sound. Now, Suyano is releasing 128 of his presets for Spire, where youíll find sounds from his latest and upcoming releases, allowing aspiring producers to recreate the Suyano euphoric progressive signature sound. Within the soundset, youíll find a wide range of Bass, Leads, Pads, Plucks, and FXs. Tailor-made for customization, each preset is assigned advanced modwheel assignments and all four macro controls are programmed within each preset, allowing you to tweak presets into your own unique sound with ease. Suyano's Spire Soundset Vol. 1 is packed with a comprehensive and carefully selected collection of hit sounds used in Suyano's catalog, to help take your productions to the next level. FTampa is a name synonymous with sensational music productions and DJ sets that connects audiences together all around the world. Since skyrocketing his way onto the scene with several hits and performing at the Mainstage of Tomorrowland, FTampa has become a familiar and respected name to dance music lovers worldwide. This Soundset includes sounds from FTampa’s latest productions including, “Strike It Up” [Musical Freedom], “Stay” [Sony], “That Drop” [Revealed], “Need You” [Revealed], “Slammer” [Spinnin], and many more. Moreover, you’ll find the sounds FTampa has been using in his upcoming productions, including sounds from the 6 new tracks he debuted at the Mainstage of Tomorrowland Belgium in July 2016. Superstar producer Hardwell is back with Vol. 2 of his Sylenth1 Soundset. Spanning 128 presets, you'll find sounds from his latest and upcoming releases, allowing you to recreate Hardwell's euphoric big room signature sound. Within the soundset, you’ll find a wide range of Bass, Leads, Pads, Plucks, and FXs. Tailor-made for customization, each preset is programmed with advanced modwheel assignments, allowing you to tweak presets into your own unique sound with ease. With these sounds having been used in Hardwell's latest releases, including progressive house anthems 'Survivors' and 'Mad World', you can be sure Hardwell's Sylenth1 Soundset Vol. 2 will take your productions up to the next level. With two GRAMMY® nominations, multiple sold-out tours, and with the recent release of his sixth studio album, Morgan Page is widely acclaimed for his musical mastery. Continuously motivated by his fans, Morgan Page wanted to give back, and has developed a Soundset for Spire, a software synthesizer by Reveal Sound, to spearhead the next era of producers and music. The soundset contains 128 presets spread across 10 patch categories: Arps, Bass, Brass, Chords, Drums, FX, Leads, Pads, Plucks, and Synths. Distinguished for his wholehearted approach to music, Morgan has defined each preset to have its own character and individuality. Each patch is optimized for CPU performance and assigned modwheel controls for multiple sound-shaping variations. You can further explore new sonic dimensions by activating the Muted FX slots for fresh and unpredictable possibilities. Notorious producer, Maarten Vorwerk, is renowned for shaping the current state of the electronic dance music industry behind-the-scenes with his extensive ghost production work, and by offering weekly tips to impassioned producers. With hundreds of songs under his discography, including several #1 Beatport hits, Maarten Vorwerk now seeks to share his knowledge further by offering the tools he uses to make music with. Together with industry premier sound design company, Alonso Sound, Maarten Vorwerk has released a soundset for LennarDigital’s Sylenth1. The Maarten Vorwerk Sylenth1 Soundset captures the essence of the Alonso experience: an inspiring collection of sounds with usability and quality paramount. Coming straight from Maarten’s #1 hits, you can be sure these presets are ready to elevate your productions to the next level. We’re excited to announce the latest installment in our “Artist Series” collection, a cutting-edge soundset created by Hardwell for LennarDigital’s Sylenth1. Designed by the acclaimed artist himself, each patch included in the 128-preset soundset has been meticulously programmed, complete with assigned modwheel controls for performance-enhancing features. This soundset takes full advantage of Sylenth1’s highly-intuitive synthesis, supplying users with an extensive array of unique sounds that can be found in Hardwell’s latest releases, ensuring they’re primed to take your productions to the next level. This bundle offers Maarten Vorwerk’s Soundsets for Sylenth1 and Spire. The Maarten Vorwerk signature big room sound is at your fingertips.